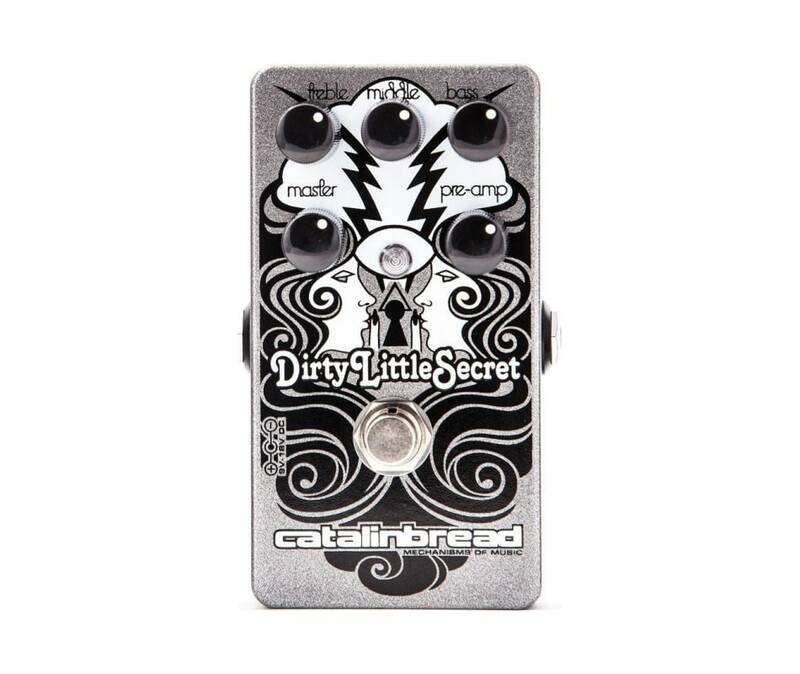 The Dirty Little Secret (DLS) is an overdrive pedal designed to bring you the sound and response of a classic Marshall amplifier. It, like the other pedals in Catalinbread's Foundation Overdrive range of pedals, is designed to be a "foundation" pedal - it is your "always on" pedal that forms the core of your guitar sound which you can enhance and embellish by adding boosters, fuzzes, filters, and other overdrives in front of it - just like you would in front of a real amp. And the reason you can leave it always-on is that you can get a great clean sound just by rolling your guitar's volume knob back! That's the way the old school Marshall players did things.